Upon arrival at the Bangkok Suvarnabhumi Intl. Airport, you will be met by your guide Ms. Joy and your driver, transfer by private air-conditioned minivan to your hotel for some time to relax. In the evening you will have a welcome dinner at the hotel restaurant. – Wat Pho (The Temple of The Reclining Buddha) is one of the largest and oldest temples in Bangkok and still an important center for Traditional Thai Medicine and Traditional Thai Massages School. Canal Tour: Take a Private Long Tail Boat, continuing your exploration of Bangkok along the bustling Chao Phraya River & quiet Klongs (Canals). Passing picturesque scenes of Thai River Life. By the river see Wat Arun (The Temple of Dawn) which is an important landmark located on the west bank of the Chao Phraya River. The main shrine, decorated with glazed ornaments and ceramics, rises 67 meters towards the heavens. 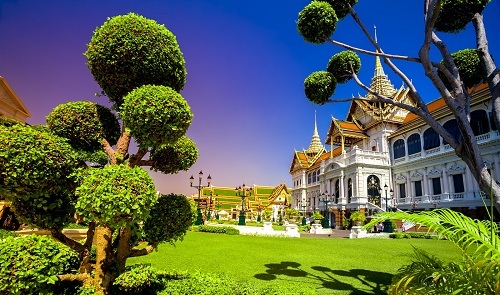 Built during the beginning of the Rattanakosin era, the magnificent temple reflects the glory of the Thai culture. 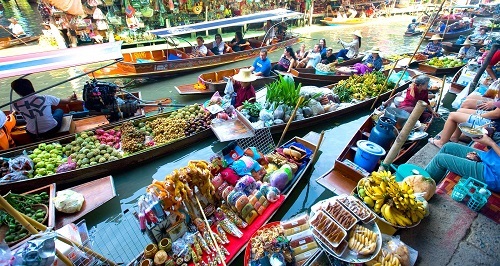 Observing the local lifestyle you will be going to the Pak Klong Talad (Flowers & Vegetables Market). It is known mostly as a wholesale flower market serving everyone from flower vendors to florists, but it also has a good selection of fresh vegetables, which are bought in the pre-dawn hours to be transported to neighborhood markets around Bangkok for sale in the morning. Pak Klong Talad is the most important flowers & Vegetables wholesale market in town. In the late afternoon, your guide will take you back to your hotel where you will have the rest of the day at your own leisure. Early this morning (7:00am), your driver and guide will pick your group up at the hotel from where you will drive to the Maeklong Railway Market. This is a unique local fresh market which takes place every day literally on the rail tracks. Just before the train arrives in the town, the market stallholders have to pull back their awnings and remove their produce from the tracks. They then have to repeat all of this when the train returns. Fortunately it is not a busy track. The train leaves four times and it arrives four times a day. Damnern Saduak Floating Market: Thailand’s most famous floating market, “floating” because mostly the vendors are in small paddle boats. There are many of these boats with the vendors in characteristic straw hats coming and going on one day to sell their produces, mainly foods from the surrounding farms and household items. Enjoy & Experience a private rowing boat ride along the floating market & local canal life. Tasting of some tropical fruits such as young coconut, rambutan, mango, durian, mangosteen & more. You will be dropped off at your hotel at around 2:00pm for some time at your own leisure to relax and enjoy the beautiful pool area at the Anantara. In the evening Ms. Joy, your guide, will meet you at your hotel to accompany you to the Scirocco Sky Bar located in the Lebua Hotel State Tower. After your time here, Ms. Joy will assist your group in returning to your hotel. Transportation to and from the Sky Bar will be by boat. 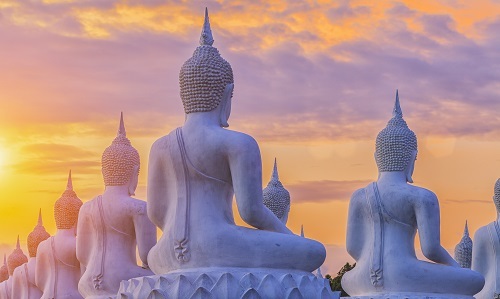 Early this morning you will be picked up by your private driver and taken to the Bangkok Suvarnabhumi International Airport where you will board your domestic flight to Chiang Mai. 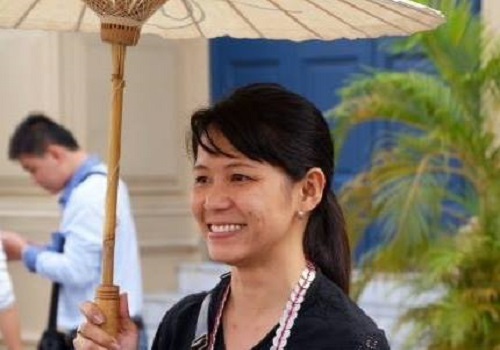 Upon arrival at the Chiang Mai International Airport you will be met by your guide Laily and your private driver who will take you to your hotel. You will have some time to rest and freshen up before you will be picked up in the afternoon for a Tuk-Tuk ride around the Chiang Mai Old City. This will include a local market. 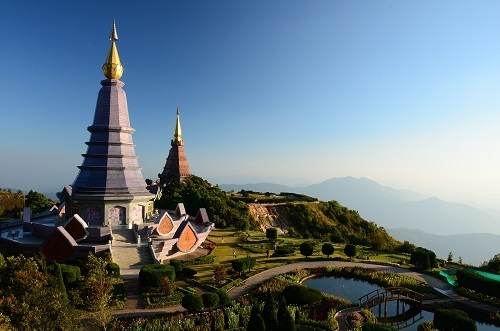 Afterwards you will drive to Doi Suthep which is the most beautiful temple in Chiang Mai, situated on the mountain side. 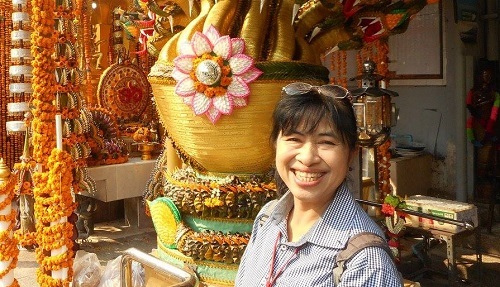 On the way, visit Palad Temple (Ancient Temple situated near the waterfall on the way to Doi Suthep Temple). Here you can have some quiet time before continue to drive to Doi Suthep Temple. 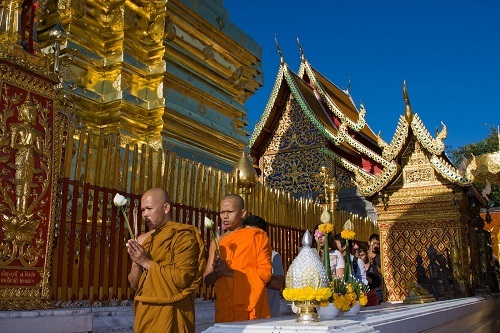 Upon arrival, walk up the many stairs to Doi Suthep or take the Funicular (additional charge). Evenings are usually much more quiet than during the day and you’ll have some beautiful view over the city of Chiang Mai. 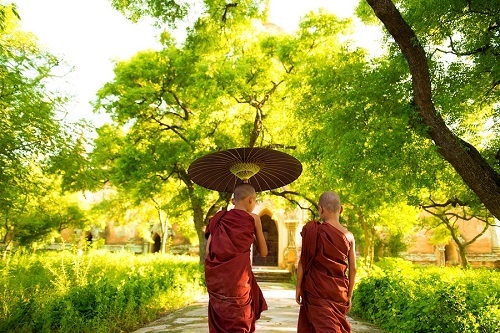 At six o’clock you will experience the monks assembling in the hall for their chanting which is a serene and beautiful experience. You will return to your hotel at around 7:30pm where you will have some time to freshen up before you go out for your welcome dinner at the Gallery Restaurant. Pick up from your hotel at 8:00am to visit Doi Inthanon, Thailand’s highest mountain (2565 meters above sea level), which offers beautiful scenery, evergreen forests, and impressive waterfalls. Upon reaching the Doi Inthanon Summit we will stop at Wachirathan waterfall, by far the most beautiful and spectacular waterfall in the National Park. Next, you’ll visit the great twin royal stupas, which were built for the Royal Highness Majesties of the King and the Queen. The place provides a marvelous view of surroundings (dependent on weather conditions). Whilst at the highest spot, we will take a leisurely walk along the nature trail. After lunch, at around 1:00pm, we will drive down hill and stop at the trekking point. Here you will be met by your private guide, Bo who lives in the Karen Hill Tribe village and begin walking through the National Park, through the forest for about two hours along a river, waterfalls and rice terracaes until your reach the Mae Klang Laung Karen village. 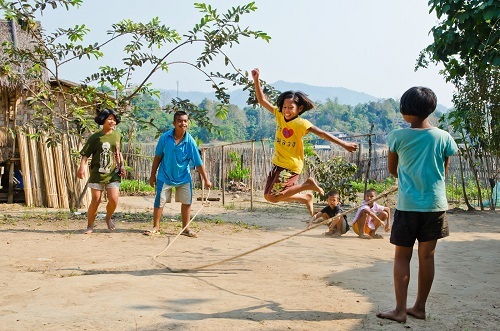 Here you will have the opportunity to visit the Karen hill tribe village for an insight into their still primitive lifestyle. 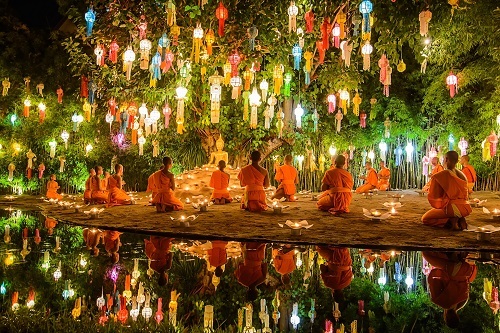 After this experience, you’ll be taken back to your hotel in Chiang Mai where you will arrive at around 6:30pm. The rest of the evening will be at your own leisure. After the program you will be taken back by Songtaew to your hotel and the rest of the evening will be at your own leisure or some time for a group meeting to reflect on today’s experiences. 8.30am: Arrive at the elephant park where you will change your cloting and begin your unforgettable experience with the elephants. You will be able to experience a daily health check, feed, take elephants for a walk to feed and excercise through the jungle, observe elephants resting in the natural environment. At the end you will have the opportunity to bathe with and scrub your elephant. At around 1:30pm you will have lunch at a local restaurant. You will begin your drive back to the hotel at around 2:30pm and arrive back at your accommodation at around 3:30pm. The afternoon will be at your own leisure. In the eveing at 6:00pm walk across the street from your hotel to the Puntao Temple and experience the evening chant of the monks. 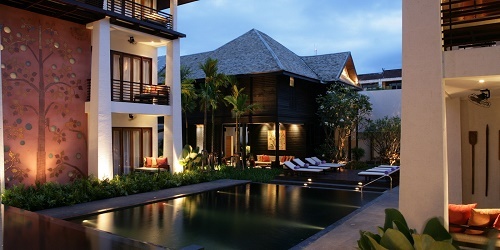 You will be picked up in the afternoon from your hotel for a private Thai Cooking Course. On the way you will stop at the lcoal market to buy the ingredients for the meals you’ll be preparing. The cooking school is located 13 km from busy Chiang Mai in a peaceful and relaxing setting where many of the herbs and spices used in the classes are grown. You will learn how to cook Thai Food in a farm atmosphere where you have your own cooking station, knife, wok and clean utensils. You will be able to create all your own amazing sauces and typical Thai dished. After you have enjoyed a nice dinner, eating the meals you have created, you’ll be transferred back to your hotel. Today is at your own leisure. Some of the options available are a bicycle tour, massage by women prisoners, jewelery making etc. In the evening you will have your farewell dinner at The Whole Earth Restaurant in Chiang Mai. Today it is time to say Good-bye to this amazing city. You will be transferred by private van to the Chiang Mai International Airport to board your flight taking you home. For those who are going to Chiang Rai, you will be picked up by your private driver and guide to begin your journey North. A non-refundable deposit of $500 per person is required two weeks after confirmation of land arrangements. This deposit is applied towards the total trip cost. Final payment is due 60 days prior to trip departure. Payment due dates are subject to change. Prices quoted are subject to change until paid in full. Airline tickets have to be paid in full at the time of the reservation. All payments for land arrangements (hotels, transfers, sightseeing, etc.) are non-refundable once received. Refunds will not be made for unused land services. Airline tickets are subject to change and/or cancellation fees once tickets have been issued. WE HIGHLY RECOMMEND AND ENCOURAGE ALL TRAVELERS TO APPLY FOR TRIP CANCELLATION INSURANCE. TRIP INSURANCE INFORMATION WILL BE PROVIDED ON REQUEST AND WE WILL GLADLY ASSIST TRAVELERS IN APPLYING FOR TRIP INSURANCE. Default insurance does not apply to airlines operating under bankruptcy protection. The acceptance of the initial travel services to be provided, shall be considered an acceptance by the traveler(s) and/or purchaser(s) of all conditions detailed here. There is a $65 amendment fee each time an itinerary is revised after invoicing. Amendments made after documents have been issued will incur a $130 fee to cover courier costs, communication costs and additional time to co-ordinate the changes. Unused travel arrangements or travel arrangements cancelled, amended or altered once travel has commenced do not qualify for any refund. Names – The correct spelling of your names must be provided as they appear on your passports. Name changes resulting in the reissuing of tickets will incur a $150 per person charge, as well as any fees charged by the airlines. Passports and Visitors Visas – All passengers are required to travel with a passport valid for six months after their return. Visitors to Australia are required to have an entry visa. For a minimal fee of $25, we can issue an Australian visa for U.S. and Canadian citizens and require a copy of your passport to process. International Flight and Ticket Numbers – Please note if we are not issuing the international tickets, correct flight information and ticket numbers are required in order for us to arrange applicable transfers and domestic air tickets. Special Meal requests. – Please advise of any special meal requests or dietary requirements. Seating Preference – Please note that seat requests can never be guaranteed, however we will contact the airlines with your preferences. Some airlines charge a fee to book advanced seat assignments. Bedding request – Please advise if you prefer double, twin, triple or a single bedded rooms. Bedding requests cannot be guaranteed but we’ll do our best to provide your preferred option. Thank you for allowing us to create this journey for you! By allowing me to design your journeys, you can be assured that you will be taken care of from the moment we start planning your vacation until the moment you return. Please don’t hesitate to contact me if you have any questions with regards to your itinerary or would like to have any changes made.